Resinate是在第一次参加rave时开始迷恋地下音乐的。在drum & bass轰动时 90 年代中后期他开始热爱drum & bass/jungle，并自那时起积累了大量的不同种类的drum & bass音乐。Resinate曾和顶级音乐人在英国音乐节巡演，以及和Serial Killaz在音乐节同台演出。搬到上海后，他很快成为了上海成立时间最久的drum & bass派对品牌Sweatshop的常驻DJ，后来他开始自己的品牌Riddim’n’Vibe.同时他也在上海以及其他城市所有最好的地下音乐地点演出,他支持并同台演出的著名音乐人有Goldie, Bryan Gee, DJ Zinc, DJ SS, Randall, dBridge, Doc Scott, Dom & Roland, DJ Die, Om Unit, TC, Hazard, The Prototypes, Cyantific, Logan D, Taxman, Jubei & SP:MC, Fre4knc, Posij, Blood Dunza, Siesta, Arkaik, MC R Vee 和 MC Jado. 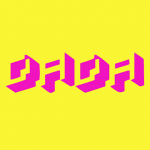 This multi genre party checks in at Dada to tickle your senses with the kick, snare, bass. 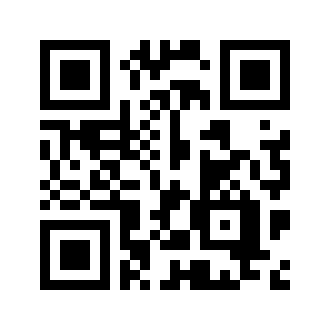 We invite all lifeforms from all corners of the galaxy to shake it on the dance floor and revel in the sound waves of Reggae, Dubstep, Jungle, and Drum & Bass. Mind-bending visuals, primo local artists and special guests. Resinate was drawn to the underground music scene in the UK at an early age after attending his first rave. He fell in love with drum & bass/jungle music during the drum & bass explosion in the mid-to-late 1990's and since then has built a mass library of high-resolution tracks from across the spectrum. Resinate has toured festivals in the UK, culminating with a headline set following the Serial Killaz. After moving to Shanghai he soon became a resident for the longest running drum & bass party Sweatshop and more recently set up his own promotion Riddim'n'Vibe. Resinate has played at all the best underground music spots in Shanghai and many other cities around China, he has supported and shared the booth with the likes of Goldie, Bryan Gee, DJ Zinc, DJ SS, Randall, dBridge, Doc Scott, Dom & Roland, DJ Die, Om Unit, TC, Hazard, The Prototypes, Cyantific, Logan D, Taxman, Jubei & SP:MC, Fre4knc, Posij, Blood Dunza, Siesta, Arkaik, MC R Vee and MC Jado. Jado is a major player in the underground music circles, he was the founder of Chinese Raggamuffin and served as drum & bass MC at Sweatshop where he supported many UK producers and DJ's such as DJ Die, Randall and Om Unit. He was selected for RBMA at Red Bull College and worked with people such as Rudebwoy Face, Fire Ball, Kouzuka Yusuke and many other Japanese reggae artists. Jado competed in lots of underground Freestyle Battles in the early years and won many championships, he has toured cities around China such as Beijing, Chengdu, Xining, Guangzhou and Hong Kong plus also in other countries such as Vietnam, Jamaica and the Philippines. Jado was selected as "RBMA (China Red Bull Conservatory of Music)", and has MC'd with the likes of DMC world champion DJ Kentaro. Before long he joined up with the Heavy HK crew where he has supported artists such as Top Cat, U Brown, Tippa Irie, Brother Culture, Ras Demo, Ranking Joe, General Levy, Congo Natty, Jahtari, The Bug, Earl Gateshead, Dan Wiltshire, Mouse FX, General Huge and Papa U Gee. Jado co-founded the Chinese 8 Bit reggae style alongside DJ Shohei and Aho which led to performances at many China Music Festivals such as Outlook with Part2style and DJ Yahman. 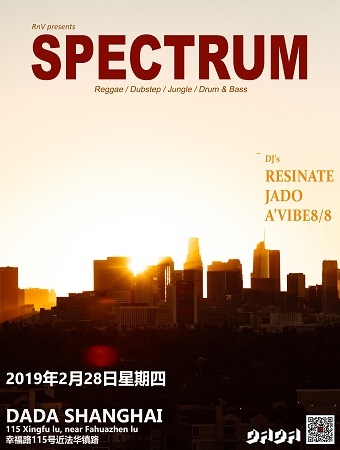 More recently Jado has become part of Shanghai's drum and bass crew Riddim'n'Vibe where his versatile Chinese/English reggae infused style has fit together seamlessly with founder Resinate's DJ sets. In 2018 Jado went on a tour of the UK where he performed at One Love Festival, followed by shows in London and Birmingham. With a passion in the pursuit of knowledge in electronic music, A'Vibe 8/8 was exposed to drum and bass during a DJ course she completed at CTRL, she was attracted by its low sub-bass and vast variety of sounds. Attending many local parties, listening to a variety of DJ mixes and label releases, she continues to absorb different styles and mixing techniques and implement them into her own performances. Since being invited to participate in the Tapestry dnb events in the summer of 2018, she has been active at underground music parties in venues such as Elevator, C's Bar and Dada.